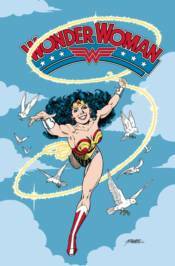 This collection of 1980s tales begins as Wonder Woman battles Silver Swan at a charity fair. And while Zeus plans for the Olympian gods to find a new home among the stars, the Amazons decide to open their island home of Themyscira to visitors for the first time ever. Plus, the murder of one of Wonder Woman's closest mortal associates is investigated by the Boston police as Hermes appears on Earth to make more trouble for Wonder Woman. Collects WONDER WOMAN #15-24 and WONDER WOMAN ANNUAL #1.